It may not really be chili, but it’s delicious none the less! 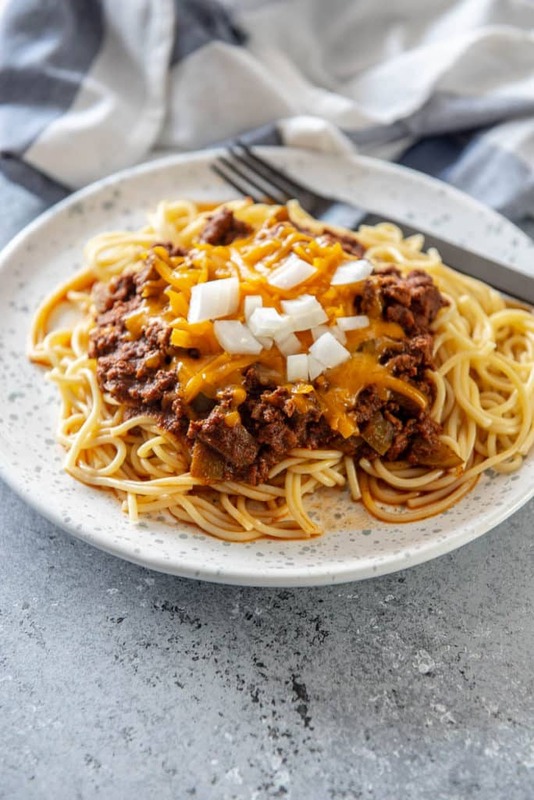 Enjoy this easy Instant Pot Cincinnati Chili over steaming spaghetti noodles and topped with plenty of melty cheese. Onions optional! Authentic for those of you with access to “real” Cincinnati chili? Nope. Delicious for those of us not so lucky? That’s my goal! I’ve never had the pleasure of visiting to try out the real deal for myself, but after watching videos and reading recipes, I’ve created my own version that I find to be super easy to make and even easier to eat! 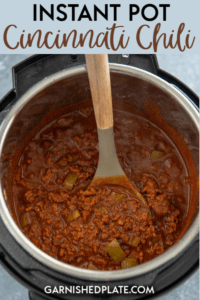 This Instant Pot Cincinnati Chili come together with a small amount of prep work and the help of my (and hopefully your) new favorite kitchen device, the Instant Pot! 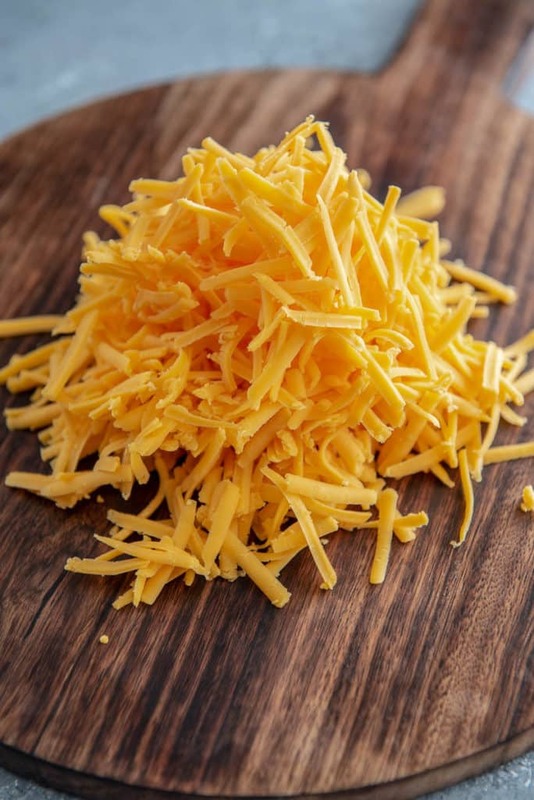 Is Cincinnati Chili really chili? Not exactly. It’s more of a meat sauce and instead of being served like a soup it’s served over noodles, more like spaghetti sauce. 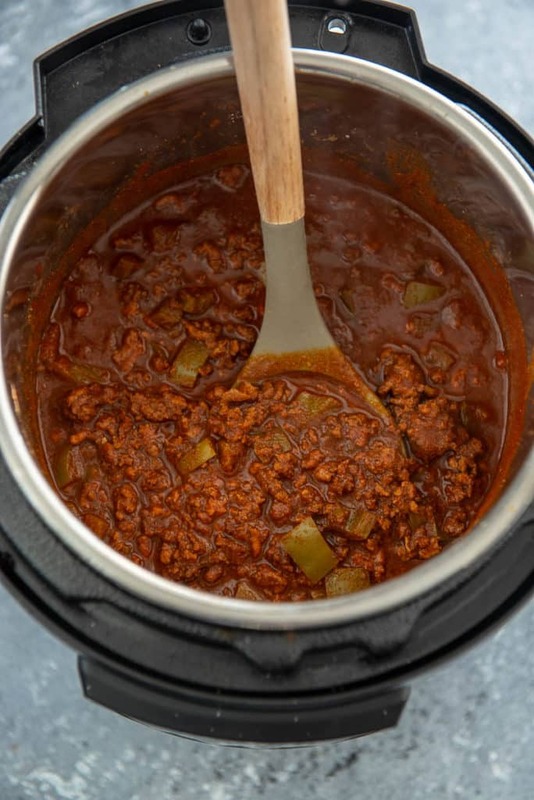 Additionally, it uses a different variety of spices than a traditional chili, lending more of a Mediterranean flavor instead of what you’d typically think of as a chili. How do you serve Cincinnati Chili? 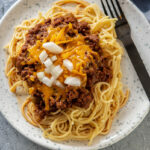 Now, I know I just said that Cincinnati Chili was a little more like meat sauce for spaghetti than actual chili, but that’s not exactly accurate either. While it may have that consistency, the flavor is much different and even more importantly, the topping are different. There are a few different ways to serve it, but they are all very simple and yet delicious. 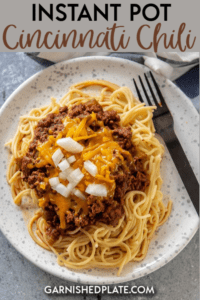 Why make Cincinnati Chili in the Instant Pot? Because it makes for a kind of a one-pot wonder! Well, minus the fact that you’ll need to cook the noodles, but one of these days I’ll show you how to make those in the Instant Pot too! I love how I can cook up the ground beef, then add everything else, and use the pressure cooking to meld together the flavors like they’ve been cooking together all day, but in about 10 minutes instead! This is the perfect meal for those days where you didn’t get dinner planned out, because it’s made with ingredients you’ll likely have on hand and it comes together in no time! 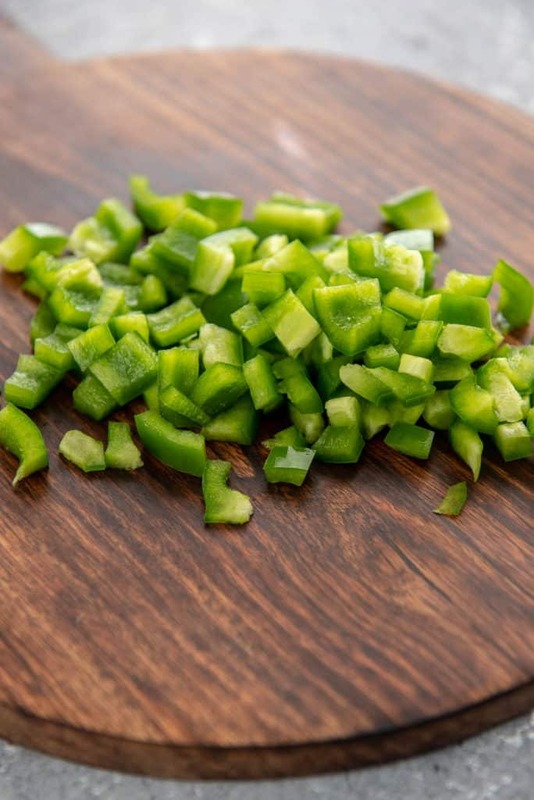 No more hangry family when you use your pressure cooker for simple recipes like this! It may not really be chili, but it's delicious none the less! 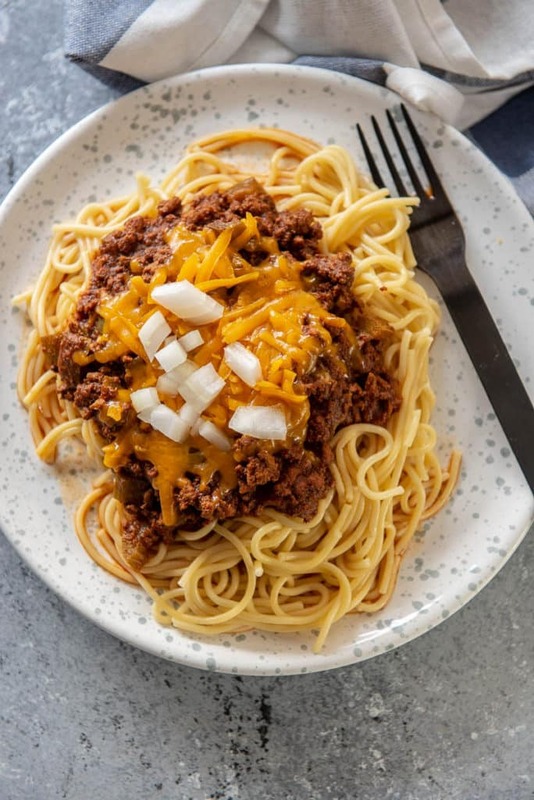 Enjoy this easy Instant Pot Cincinnati Chili over steaming spaghetti noodles and topped with plenty of melty cheese. Onions optional!